At BINUS University we are constantly working to strengthen our reputation for high quality education. It is with great pleasure that we are able to announce a new achievement. 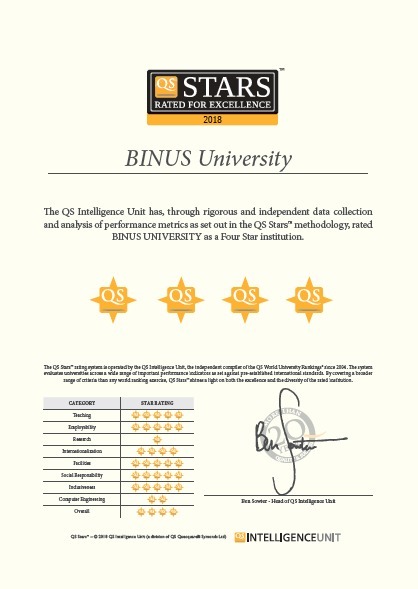 The QS Intelligence Unity has completed an audit of BINUS University and awarded a 4 star rating. All of us at the English Department would like to extend our warm congratulations to our Rector and Senior Management for this outstanding result!